Fantastic second floor, two bedroom, 2 bath condo at River Rock on the Seine. Spacious great room style has huge living area with newer laminate floors and a sunny view overlooking the courtyard. The kitchen features plenty of cabinets, newer corian counters, and designer faucet. The master suite features a large walk in closet & a full 4 piece ensuite bathroom. Other features of this condo includes a forced air heating & cooling system and a storage room with in suite washer/dryer. Lots of mature trees on the property. Enjoy the courtyard where you can spend time with the family or listen to nature. 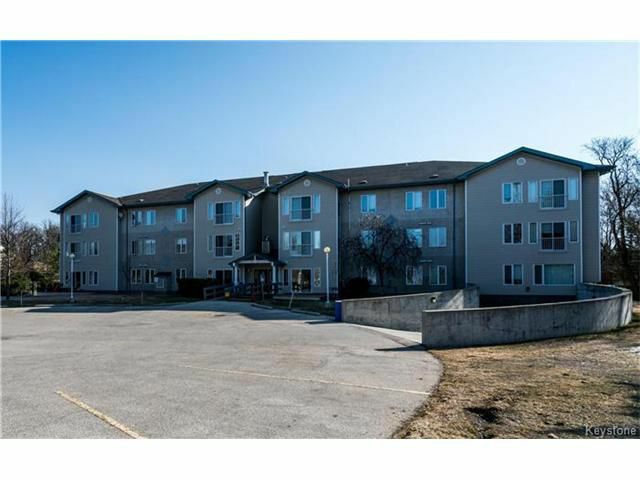 Includes underground heated parking with large storage locker & car wash area. Easy access by elevator, this building is handicap accessible and has concrete floors.